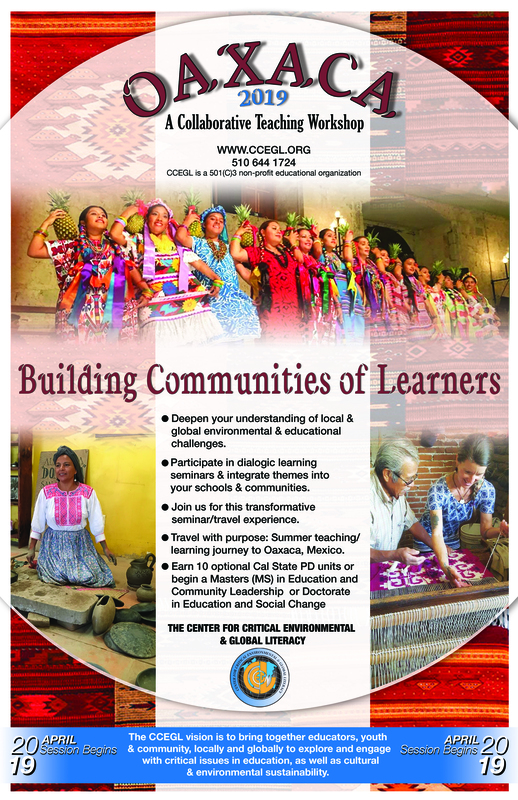 As educators today interact with a culturally and linguistically diverse student population, they are challenged to find ways to create partnerships with students, families and communities. These family and community partnerships have the potential to nurture literacy and facilitate participation in the schools while celebrating and validating student’s home culture and language, family and community issues, concerns and aspirations. There is a growing consensus among educators on all sides of the political spectrum, which advocates the involvement of parents in their children’s education. 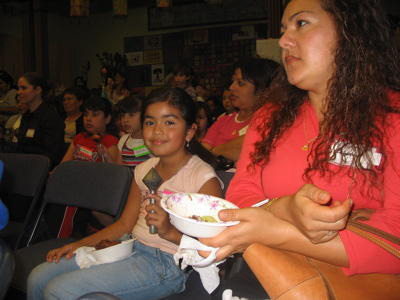 Through the CCEGL Family Literacy Center, families are immersed in a cultural and language experience, which provides an opportunity to engage with others (adults and youth) around issues of literacy development and cultural and environmental sustainability. Sessions focus on approaches that validate family histories, values and knowledge and view learning as the act of simultaneously reading the world and the word. . Children’s literature is used as a tool to promote discussion, and to inspire young people and their families to author, illustrate and publish their own books. Hands-on- environmental science activities are included to build a broad interest and literacy base. Special sessions have been developed to look at environmental issues (urban and global) and the power of the media and its effect on young people and families. The sessions open with adults and children signing, eating and working together in a large community group. After a short time the larger group is divided into smaller groups in which adults and young people engage in activities separately. 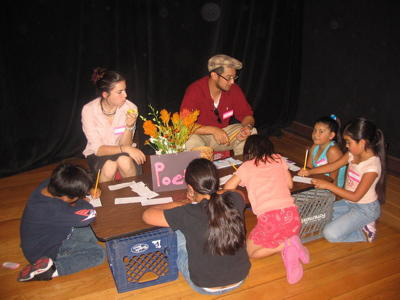 Sessions always integrate art, music and context-based literacy development. Sessions end with reflections on the learning process and the showing of a short video, filmed during the session.